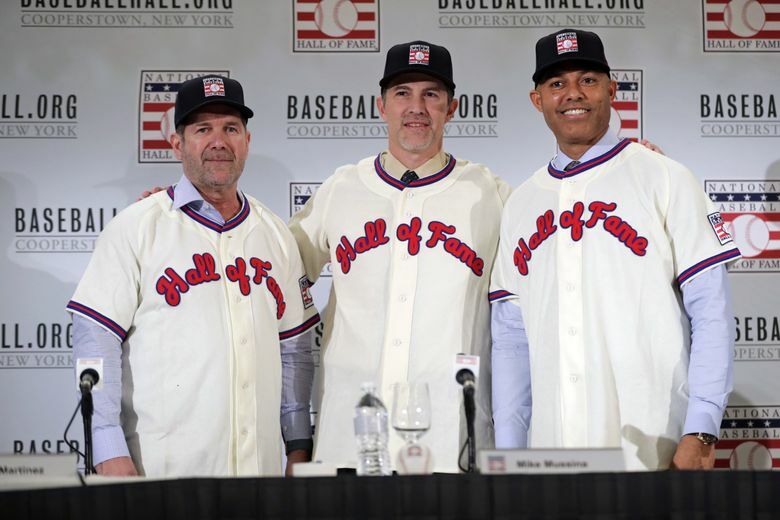 A day after being elected to the Hall of Fame, pitchers Mariano Rivera and Mike Mussina discussed Mariners legend Edgar Martinez's well-documented success against them. 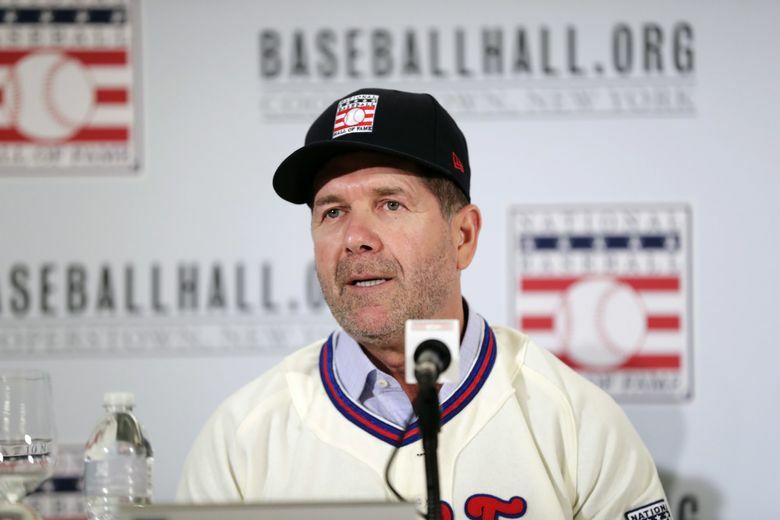 NEW YORK – On Tuesday, the Baseball Hall of Fame ballots were tallied and revealed to the world, yielding four new members: Edgar Martinez, Mariano Rivera, Mike Mussina and the late Roy Halladay. On Wednesday, at a news conference at the St. Regis Hotel in Manhattan, the key tally was this: Dinners owed. 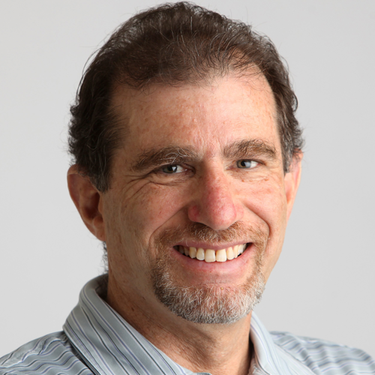 And according to this columnist’s tracker, it’s tied at one apiece. The lone exception of Mussina, who has an Olive Garden feast coming his way with none due from him. The reference, of course, was to Martinez’s legendary mastery of Rivera, to the tune of a .556 career batting average – 11 hits in 19 at-bats, with three doubles and two home runs. To which Martinez had a rejoinder that might just get him out of paying for the meal. “There’s one at-bat I’d pretty much trade for all those hits,’’ he said, shaking his head. Then Edgar told the story of Game 6 of the 2000 American League Championship Series at Yankee Stadium. 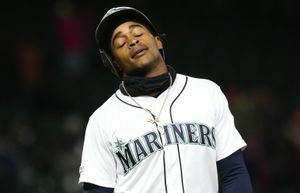 The Mariners trailed in the series, three games to two, and 9-7 in the game. Top of the ninth, two outs, Alex Rodriguez on second base, Martinez at the plate representing the tying run. Continued Martinez: “I looked for the cutter all the way, like he always did. And then Mariano throws the first sinker I see from him my whole career. I hit a weak fly to left field. Game over, we go home. 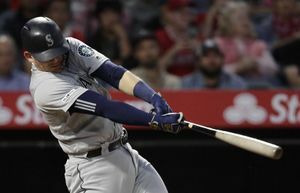 The archives show it was actually a weak grounder to short, but the result was the same – another disappointing playoff ending for the Mariners. They never could quite take that final step to the World Series despite having three official Hall of Famers in Martinez, Randy Johnson and Ken Griffey Jr. – plus Alex Rodriguez – at various times from 1995 through 2001. Rivera then addressed Halladay’s widow Brandy and their sons Braden and Ryan. He explained with a glint in his eye how Roy got him in trouble with his Yankees teammates in 2008, “and so you guys owe me dinner, too. “Roy and I were talking in the outfield about pitching, like we always did. I was teaching him the grip of the cutter. He started throwing the pitch, and (Yankees shortstop) Derek (Jeter) and all the hitters from my team were mad at me. So that’s one dinner owed by Martinez, and one by Halladay. Mussina was next to join the fray. Near the end of the news conference, he said he had one final matter to bring up. “Olive Garden,” piped up Rivera as the assembled crowd laughed. It was that kind of event, with the participants appearing relaxed after the affirmation of the previous day. They came to the news conference straight from a private lunch with just the honorees, their families and Hall of Fame officials. Of course, they served up the requisite photo op, donning their Hall of Fame jerseys as cameras clicked. It didn’t take long for the questioning to turn into the Edgar Martinez Appreciation Show. “Facing Edgar, it was tough,” Rivera said. “Especially young in my career. In the first few years, I didn’t want to see Edgar in tough situations. As a matter of fact, I used to tell (Yankees manager) Joe (Torre), if you bring (right fielder) Paul O’Neill right behind second base, we might get him out. Because he made a living hitting in there. It was amazing. Mussina quickly pointed out that he was at least a Martinez appetizer. Edgar had a .307 average with five homers in 75 at-bats against Mussina. “That’s why he’s sitting up here,” he said. Mussina pointed out that he thrived off the impatience and power-lust of hitters. “Sometimes when you face someone as good as him, you just think, I’m going to throw it in the middle of the plate and hope he hits it hard right to someone. Because if I try real hard and he still gets a hit, then it’s just going to make me mad. The ever-modest Martinez demurred, of course, and explained how tough all three of his new Hall of Fame brethren were to face, regardless of the results (he had a .444 average against Halladay). Every at-bat against them was a battle, he stressed, and the hits were usually just luck. But I don’t think Mussina or Rivera was buying it. Hey, it’s something they can argue about over dinner in Cooperstown in July.